Ring News 24Boxing News Breaking Boxing NewsWhere next for George Groves and Chris Eubank Jnr? Where next for George Groves and Chris Eubank Jnr? 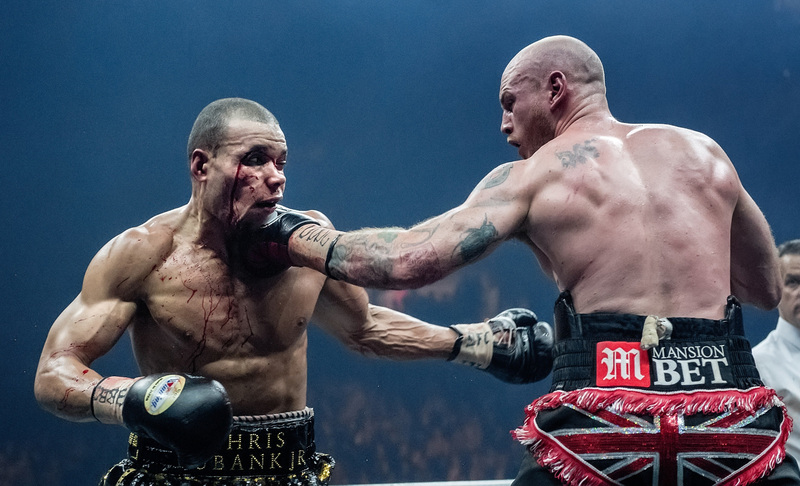 Groves looked sensational against Chris Eubank Jr. Photo Credit: World Boxing Super Series. The dust is settling on a fight that truth be told did not quite ignite the way people hoped it would. Those banking on an all-out war were disappointed as George Groves and Shane McGuigan came up with the perfect game plan which showed who really was the world class fighter as he used his jab to pretty much school the chiselled but very much lesser opponent. Groves can now look forward to the final, dependent on shoulder injury, against the winner of Callum Smith v Juergen Braehmer and go on to prove why he was the favourite to win the tournament. After that it really will depend what his level of desire will be, if he does reign supreme by the end what else would he really have to prove to himself. It may be that he ironically follows in the footsteps of Carl Froch and signs off on a high rather than be dragged into fights he may no longer get excited about. What is next for Chris Eubank Jnr and how does he rebuild from here? I have to start by saying that Chris is still delusional as to the level he is at, almost every fighter raises his hand at the end of a fight so I can forgive that. I would however have liked to have seen some humility from him in acknowledging Groves and the one-sided fight that it was. To say he thought he won was laughable and then to call out another World Champ straight after as well as wondering out loud would he get to the final anyway if Groves injury rules him out was a little embarrassing. After the fight his father was probably the most sensible he’s been recently in admitting he should have started early. What needs to change for Chris Eubank? Chris Jnr has got to realise that he is not a one-man band. This is not an art that you can do on your own and you need someone in your corner that you respect and that you will actually listen to. If one of the most respected trainers in the game in Adam Booth decides to part company with you as early as he did then that should tell you something about your level of ability and how good you are at listening and taking instructions. He also has to consider is he big enough for the super middleweights or should he move back down. A lot has been made of his Instagram life and the videos he puts up, nothing wrong with that and to be fair to him it is partly how he has grown his fan base. It still all boils down to skills though, for me it’s not so much that bags don’t hit back, as had been mentioned many times, it’s that they don’t move. All the displays that you see of Chris on the aqua bags are great to look at and admittedly he is fast. His movement is part of his problem and what George proved and that Billy Joe Saunders also proved before him is that if he has a stationery target then he can hit you. Anyone with decent movement and footwork leaves him looking crude, wild and amateurish, I’m going to stop short of what Prince Naseem Hamed (who I thought was hilarious after the fight) said, I don’t think he should quit but he does have to get a trainer and cornerman who will guide him properly and set out tactics for a fight rather than just wanting to have a fight and doing the same thing every time. The definition of madness is doing the same thing over and over again and expecting a different result. Chris Eubank Jnr would do well to think about this before he decides which path he decides to walk.